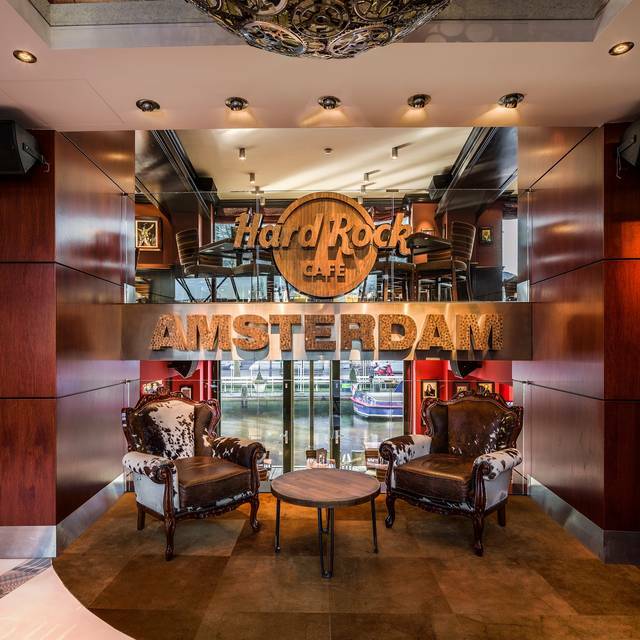 Let us rock your senses at Hard Rock Cafe Amsterdam, a complete music and cuisine experience located right on the water. 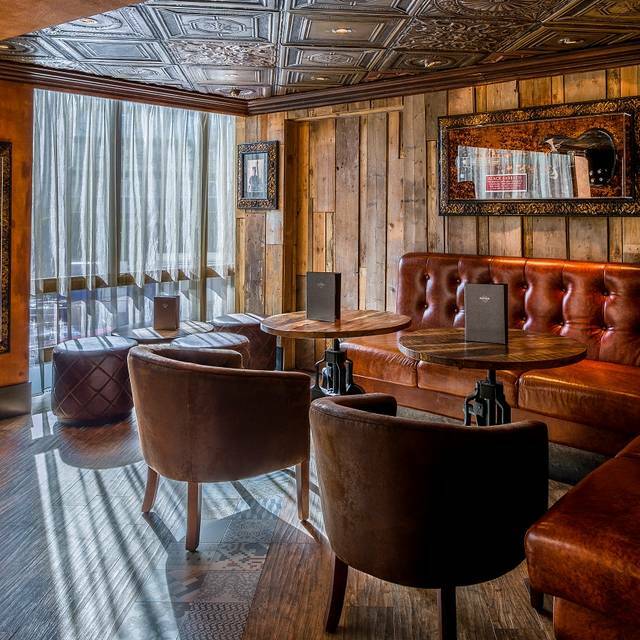 Our restaurant is not only the perfect spot to kick off any day or night, but we are also a museum of pop culture with authentic memorabilia from rock 'n' roll legends like Jimi Hendrix, Elvis Presley, and the Rolling Stones. 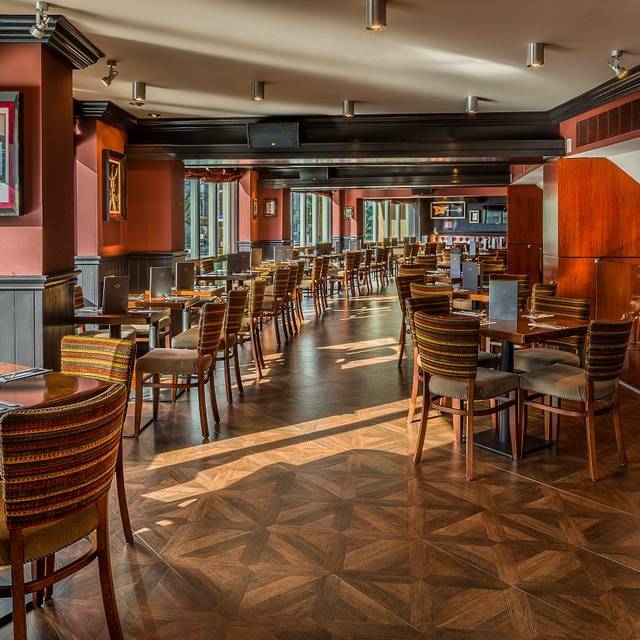 We invite you to wet your whistle with our menu of drinks and sample our eclectic menu of flavorful dishes. Great food and service. Music and location are cool! We had a delicious dinner and the girls and boys were very friendly. The portions were huge, the fries sooo tasty. 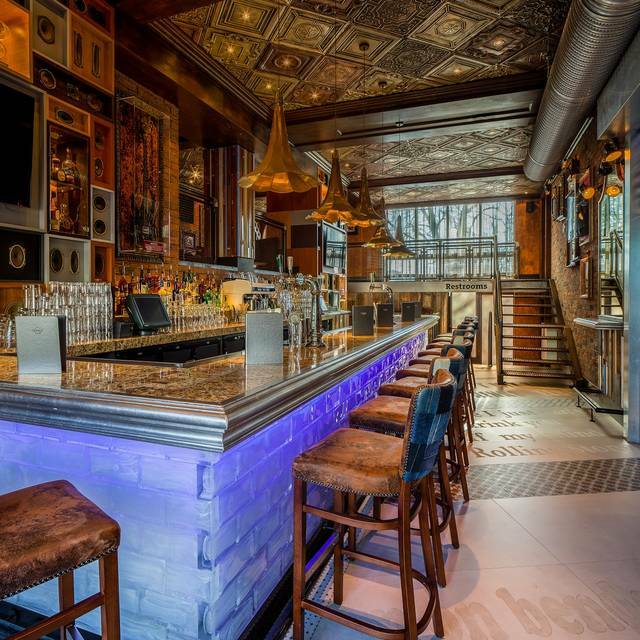 Like we used to know it from the last stays in other Hard Rock Cafés, for example in Berlin, Munich or Vienna. Amazing food, really nice atmosphere, staff were really lovely. The burgers are very good: good taste! The coctails are sublime but a little expensive! The staff was very nice and friendly! It was a nice meeting with the stars! Our server Matt was outstanding. The wings were the best wings me and my partner had ever eaten, we were very impressed overall with the quality of service and food. Would definitely recommend to a friend. Es ist wirklich durchorganisiert. Trotz des sehr großen Andrangs war das Personal sehr freundlich und kompetent. Die Preise sind dafür aber auch in der „Champions League“. Ich würde wieder dort Essen. My Husband and I visit a Hard Rock in every trip we take, loves the location and the service the atop over look the canal was beautiful. The waiter was more interested in what was going on around him then his customers, laughing loudly and joking around with his friends and when it came to serving us we felt an inconvenience and whilst we are giving our order he was looking around at everything else as we were talking to him. Given that this was our first experience and had been really excited we found that the experience was very disappointed. Not a huge vegetarian option and very noisy and expensive to come away regretting making the booking. Over rated, both my boyfriend and I felt very ill after eating. They got my order wrong and I have an allergy so this wasn’t fun! Superbe Hard Rock Café au bord des canaux , ambiance tres sympa et serveur Richie fantastique avec beaucoup d’humour! Je recommande ce Hard Rock à 100% ! Amazing food, always visit here when we go to Amsterdam. The best burgers you’ll ever eat. Fantastic location on the side of a canal and very easy to find. The staff were really friendly and efficient. The music was not very loud (set at an ideal volume to encourage something called talking to your eating companions). The ordering was fast and the food delivery was surprisingly quick too. Tasted great and was always looked after (anything else we required and was everything to our liking). A really enjoyable dining experience. Thank you. It ist allways fun to eat at These Restaurants, no matter where. 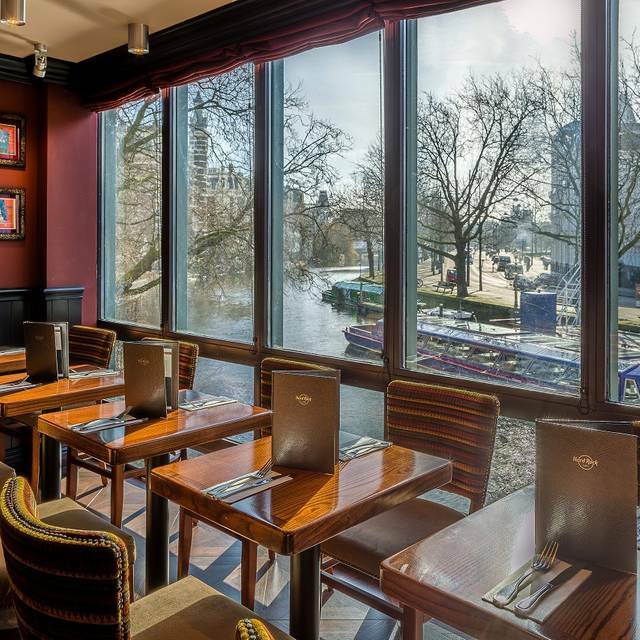 The location in Amsterdam though is a very nice one, the view from the tables is outstanding. As usual it was very busy and noisy. The food was very tasty especially the salmon. The service was a tiny bit chaotic but nice, they just have to run the whole evening. Dining late is a disadvantage because the Service people seem to be exhausted. Next time in Amsterdam, we will dine there again, for sure :-). After we arrived it took 45 minutes for our drinks to be brought to the table. We ordered a bottle of Pinot Grigio wine however the waitress bought Merlot Red and seemed annoyed when I said that’s not what I ordered. The food came shortly after but I did think £17 for a burger which was a standard bbq bacon and cheese was a bit too much. Feel like I payed the price for just eating at a Hard Rock Cafe. If you like ham go ham with it. Loved it was great! A-M-A-Z-I-N-G!! Wonderful service, food arrived fast, everything was delicious! Table much preferrable along the river. About food nachos perfect, burger quite below standard We had in several other Hard Rock cafè. Food and service was excellent. We were sat next to one of the bars and the staff were extremely loud talking amongst themselves. Was still a very enjoyable meal. Food amazing, staff amazing, music amazing. 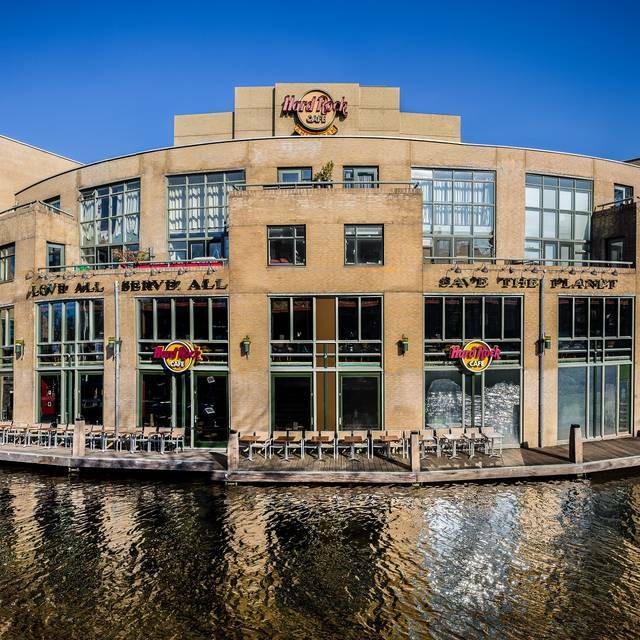 Been to this hard rock every time I’ve been to Amsterdam and it is the best! Customer service on this occasion was very poor, we wasn't offered any further drinks or a dessert after our main meal was served, in fact we had to go looking for someone to get the bill! Decided to move on elsewhere. Very disappointing as it was for a special occasion, there was 8 of us for our friends 50th Birthday travelled from the UK. I recommended visiting this Hard Rock to my friends after the excellent service I received in London, we were all very disappointed. On leaving we did pass on our comments and was told we should have said something before leaving our seats, but the service should be the same regardless and we shouldn't have to ask for good service! Great friendly service and amazing food couldn't be happier what I expected and more. The NY strip steak was trimmed and cooked to perfection. The chicken sandwich was delicious. Our waiter Rich was attentive and quite cheerful. We were greeted by a couple of very friendly Hard Rock staff members who chatted with us all the way to our table. 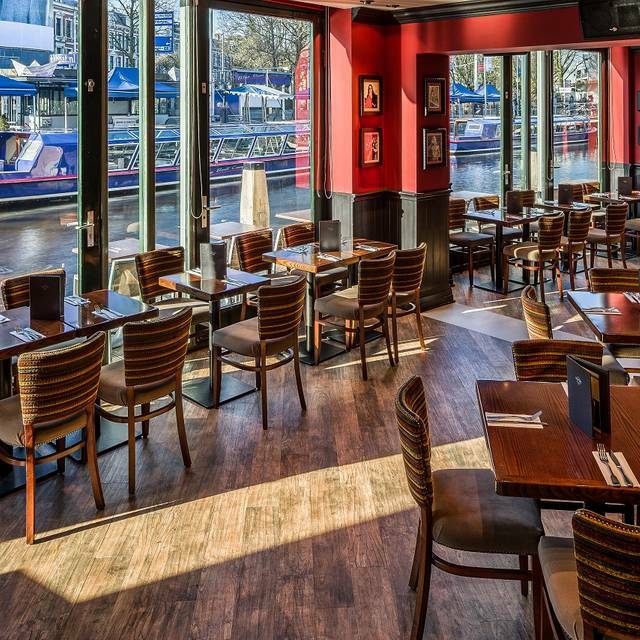 The section of the restaurant we were seated in had window view of the canal outside which really made for nice ambiance. Our server was also very friendly and attentive. The food was prepared nicely and the portions were just right. We also enjoyed a couple of cold Belgium style beers recommended by our server. 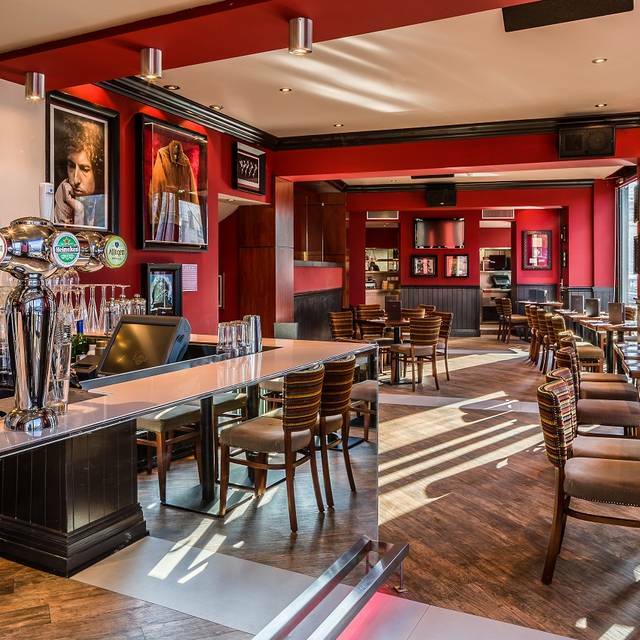 All in all, a great visit to the Amsterdam Hard Rock Cafe. The only thing not excellent was the moment the entrees were served. It was cooked when we didn't even finish our appetizer yet. Taste was good! Drinks were good. Ambiance also nice, music okay. 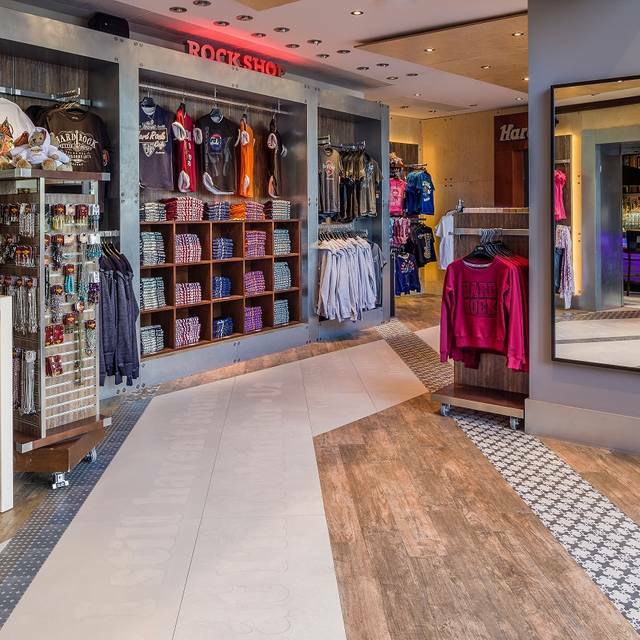 I think in total what we paid was quite expensive, compared to several other hardrock cafes in Europe. Ich war bereits in mehreren Hard Rock Cafes und dies war mit Abstand das schlechteste. Das Essen war okey und trotz der typischen Einrichtung, kam überhaupt kein Hard Rock Cafe feeling auf. Good as always, as usual. Food was delicolious and good cocktails and music. My husband and I had a nice, quiet, yummy night out and we enjoyed it.